A mix of one-hour and multi-episode radio specials produced by Joyride Media since 2004. Includes acclaimed programs about Bob Marley, Johnny Cash, Bob Dylan, Miles Davis, Nina Simone and many others that continue to air on hundreds of stations nationwide. Joyride Media is Paul Chuffo and Joshua Jackson. 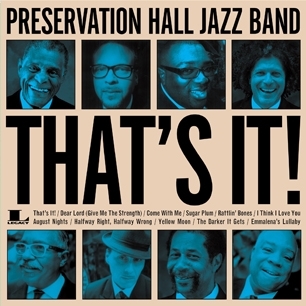 Preservation Hall Jazz Band - That's It! Exclusive interviews with Mick Jagger, Keith Richards and Ron Wood tell the story behind Some Girls - their 1978 album that featured an exciting mix of Punk, Disco, Rock & Roll, the streets of New York and a lot more. 54:00 and 59:00 versions available here, plus three previously unreleased "airplay tracks" for your regular music programs. When Bob Dylan arrived in New York City in the early 1960's, he didn't just alter the course of folk music, he helped change the way the music business worked in general. Dylan achieved this by merely doing what he does best - writing and singing his own songs. The popularity of his music took care of the rest. In this one-hour radio special you will hear some of Bob Dylan's early demo recordings and songs from his albums as they were first heard on AM radio - in Mono! You will also hear interviews from his first manager Roy Silver, music publisher Artie Mogull, journalist Colin Escott and record producer Steve Berkowitz. NINA SIMONE WAS AS POWERFUL AND COMPLEX A PERSON AS THE MUSIC SHE PLAYED. SHE CALLED IT 'BLACK CLASSICAL MUSIC,' AND IT RESISTS ALL DEFINITIONS. IT'S JAZZ, RHYTHM AND BLUES, FOLK, GOSPEL. IT'S A COMBINATION AS RICH AS THE CULTURE. LIKE ANY LEGEND, NINA SIMONE BECAME A SYMBOL FOR PEOPLE AND MOVEMENTS THROUGH THE YEARS, BUT HOWEVER SHE WAS FIRST AND FOREMOST A PERFORMER. SHE ACTED OUT THE STORY OF EACH SONG AS IF IT HAPPENED TO HER JUST YESTERDAY. THIS HOUR, WE'LL HEAR ABOUT THE MUSIC AND LIFE OF NINA SIMONE FROM COLLEAGUES AND FRIENDS - ODETTA, CAMILLE YARBROUGH, GUITARIST AL SCHACKMAN, PATTI SMITH, JOURNALIST DAVID NATHAN, AND MORE. Produced by JOYRIDE MEDIA, creators of acclaimed music documentaries featuring artists like Bob Dylan, Benny Goodman, Johnny Cash, and many others. Hosted by Simone, acclaimed vocalist and daughter of Nina Simone. Music throughout this program includes some of her trademark number plus previously unreleased tracks now available on the new Legacy Recordings box set "TO BE FREE: THE NINA SIMONE STORY." Program hour includes breaks for local spots and no embedded national spot. Tracing the creation and influence of The Stooges 1973 album. New one-hour radio special pays tribute to new Rock & Roll Hall of Fame members, Iggy & the Stooges, and their 1973 album, Raw Power. Jon Langford (The Mekons, Waco Brothers) hosts this four part series on how this seminal album was made, and how it influenced future generations of punk rockers. Includes interview clips from three Stooges - Iggy Pop, James Williamson and Sott Asheton and others influenced by them, between tracks like "Search and Destroy," "Gimme Danger" and others from the original album as well as previously unheard outtakes and live recordings. Like the classic quote about the Velvet Underground, it didn’t sell many records at the time, but everyone who bought one started a band. We hear from three such people - Henry Rollins (Black Flag / Rollins Band), Mike Watt (Minutemen / Firehose) and Johnny Marr (Smiths / Modest Mouse / 7 Worlds Collide) , who each count this record as a major influence on their own legendary musical careers. Noted music photographer Mick Rock is also interviewed. The Jailor Man and Sailor Sam thought the major was a little lady Suffragette with a heart like a wheel. Brand new one hour radio special explores how great rock albums are often made under unusual circumstances, like the Lagos, Nigeria sessions for "Band on the Run" by Paul McCartney and Wings (1973). Paul, Linda, Denny Laine and arranger Tony Visconti discuss how the album was made between album tracks and previously unreleased 1974 recordings of Wings live in the studio. 1956 was the year Elvis Presley became a household name. The national spotlight turned on the 21 year old singer, and his life changed forever. Elvis had a new record deal, his first movie deal and a brand new manager named Colonel Tom Parker. In this one-hour radio special you'll hear about what happened that year from Elvis and the Colonel, plus band members, friends and historians. New one-hour radio special traces how Hank Williams’ “lost notebook” of unrecorded songs were found and set to music for new recordings by Bob Dylan, Lucinda Williams, Jack White, Patty Loveless, Merle Haggard, Sheryl Crow and others. The version posted here is what we call the "AAA version" based on how the various artists' music and interviews are featured. A "country" version is also available on request. The basic difference is how much we use Jakob Dylan and Jack White vs. Alan Jackson and Hank Williams Jr. The Chieftains and Ry Cooder present the history behind their collaboration inspired by The St Patrick's Battalion of Irish-born soldiers in the Mexican War. Public Media Service and Joyride Media are happy to announce a new one-hour CHIEFTAINS & RY COODER radio special featuring their unique take on a rarely told chapter of Irish-American history - the story of the "San Patricio Battalion," Irish immigrant soldiers in the US-Mexican War who deserted their US posts to fight for the Mexican side. Chieftains' Paddy Maloney, Ry Cooder, Irish-American historian Peter F. Stevens and members of the Mexican-American band Los Cenzontles discuss the history of the San Patricio Battalion, the kinship between Irish and Mexican cultures, and how they relate to the music from the SAN PATRICIO album, plus one exclusive live track from a Jan 2010 Dublin concert. A look back at the last Bob Marley & The Wailers concert (Pittsburgh - Sep 23, 1980) with previously unavailable live recordings and exclusive interviews. BOB MARLEY - LIVE FOREVER is a free one-hour program with live music from and stories about his last concert. Songs recorded live at Pittsburgh's Stanley Theater in Sep 1980 include "Exodus," "Could You Be Loved," "Redemption Song," "No Woman, No Cry," "Jamming" and more. Rita, Damien and Rohan Marley are interviewed, as well as Marcia Griffiths, biographer Vivien Goldman, and Doug Gebhard - a former journalist who covered the 1980 Pittsburgh show and is now a priest. These interviews discuss the concert, Marley's philosophies and influential moments from his life. The show is produced by Joyride Media (Paul Chuffo and Joshua Jackson), who also brought you specials on other R&B and Jazz icons like Sly & The Family Stone, Gamble & Huff, Miles Davis, Nina Simone, Same Cooke and others that are also available for any Black History Month features. The host is John Langford (WXRT Chicago, The Mekons, Waco Brothers) who also worked with us on the IGGY & THE STOOGES special and JOE STRUMMERS LONDON CALLING series. Full list of musical works will be added o the right section soon. For now please note song titles listed in the cue sheet. One-hour special explores the creation and impact of Miles Davis' album "Kind Of Blue." On two days in the spring of 1959, after a string of critically acclaimed and succesful albums, Miles Davis recorded what would become Kind Of Blue. Nothing would ever be the same – for Jazz or for Miles Davis. There’s no real way to tell why a record captures the imagination and attention of the world. Some do, some don’t. Miles Davis constantly recorded music, and almost all of it added to his popularity and critical acclaim. But over the years, Kind Of Blue found a larger and larger audience. Soon enough, it became the best selling Jazz album of all time. Through the host Josh Jackson and interviews with musicians Herbie Hancock, Jimmy Cobb, Jackie McLean, David Amram and others, you will hear the story of the making of Kind Of Blue, as well as the lasting impact of this classic Jazz staple. Bono, The Edge, Adam Clayton and Larry Mullen, Jr look back on the year they almost broke up but decided put out a little album called "Achtung Baby" instead. In retrospect, most people think of Johnny Cash as always being in the public eye, and always being the Man in Black. In fact, Cash's career was a turbulent one with wild ups and downs and surprises. From his start on the farm, through country stardom, drug problems, religious awakening and recent resurgence, there's never a dull moment in the life of Johnny Cash. His story gives us a glimpse of Cash the Everyman in search of his American dream. Audio will be available here by Aug 10, 2005. Please contact Andy Cahn at cahnmedia@comcast.net or 201-386-1736 for more details. More details will be added soon. Songs are currently listed in timings & cues will be also be properly added to the music works section next week. Archival Paul Simon interviews from various moments of his career are intertwined to show the evolution of his creative process. Hosted by Rita Houston (WFUV). Paul Simon has been translating his inner thoughts into songs for over 50 years. He doesn’t have just one way of writing -- it’s a constantly evolving set of discoveries that include both inspiration -- and a lot of hard work. In this hour, Paul Simon is going to tell us about his creative process, and we’ll hear his own favorite hits (Kodachrome, Late in the Evening, Boy in the Bubble) and deeper cuts (Darling Lorraine, Love and Hard Times) from throughout his solo career. Great to air anything in Fall/Winter 2011 for any Paul Simon 70th birthday features, especially around his upcoming 2011 US tour dates listed below. Could also be part of multi-hour tributes along with other Paul Simon or Simon & Garfunkel specials on this PRX playlist. Three other titles include the Joyride Media "Bridge over Troubled Water" and "Live 1969" shows, as well as the "So Beautiful or So What: A Guided Tour" feature on his 2011 album (from another producer but also distributed by Public Media Service). Podcast edits will also be available soon for station websites. The official radio companion to Pearl Jam Twenty - a new documentary by Cameron Crowe in theatres Sep 2011, on PBS American Masters Oct 21, 2011. One hour special includes interviews with Pearl Jam band members, friends, collaborators and others, plus previously unreleased live tracks and demos from throughout the band's 20 year career, as handpicked by Cameron Crowe. 10 part module series includes interview clips to introduce 10 songs from the soundtrack. Great for regular music programming, interstitials or features to run during Pledge Drives. Tony Bennett and his duet partners (Amy Winehouse, Norah Jones, Aretha Franklin, John Mayer and more) discuss the art of collaboration on timeless pop standards - including one of Amy Winehouse's final recordings. One hour special behind the making of Tony Bennett’s latest collection of duets with top artists from many genres as listed below. Great to air anytime this fall, including Thanksgiving and other holiday weekends. Also available as music and interview modules for each of the 17 album tracks - great for use during pledge drives or regular music programs. Brazilian music has always been inclusive, and German producers Frank and Christian Berman have raised that idea to a new level. They took only the vocal performances from classic American songs and invited an all-star list of Brazilian musicians to create new arrangements and play along. 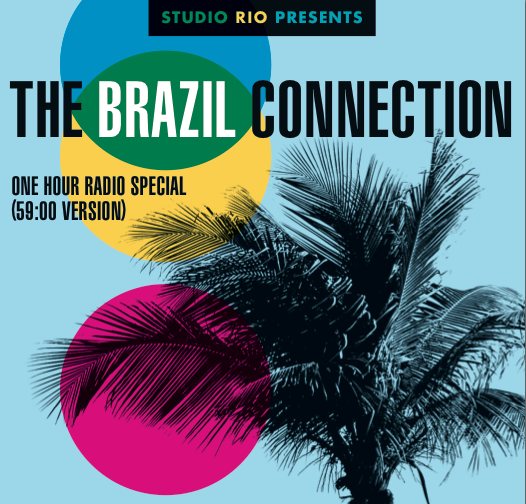 In this hour, we'll hear how familiar songs were transformed and talk to producer Christian Berman, drummer Paolo Braga, and arrangers Marcos Valle, Roberto Menescal, Mario Adnet and Torcuato Mariano.